FM I: Functional Mobilization I is organized by The Institute of Physical Art, Inc. (IPA) and will be held from May 03 - 05, 2019 at Inova Physical Therapy Center, Alexandria, Virginia, United States of America. Audience: PT, PTA, OT, SPT Attendees agree to utilize all skills of evaluation, assessment and treatment learned in this course to the extent allowed under the regulations of their professional practice act. By registering you acknowledge that your attendance does not represent authorization by the IPA, or any of its officers, to utilize any of the material learned which may lie outside of the strict interpretation of your practice act. Hours: 3 Days, 22.5-30.0 Hours. (Approved CEUs vary by state.) Course Purpose: Written and developed by Gregory S. Johnson, PT, FFFMT, FAAOMPT and Vicky Saliba Johnson, PT, FFFMT, FAAOMPT. FM I (formerly FO I) was the first biomechanical soft tissue mobilization (STM) course offered to the PT profession. It presents an integrated approach to patient care with emphasis on soft tissue mobilization combined with PNF, joint mobilization and exercise training. This course presents techniques that are the foundation to advanced course material. FM I trains the participant to observe structure, posture, and movement and correlate the presenting mechanical, neuromuscular, and motor control objective findings to dysfunctions in the soft tissue system. The concept of the human body as an interconnected dynamic system will be stressed, presenting evidence as to the interrelationship between the soft tissue system and the articular, neuromuscular, and motor control systems. Emphasis is placed on the evaluation of the soft tissue structures and the application of specific treatment techniques to normalize any identified dysfunction. Course Objectives: • Define and identify efficient and inefficient structure and function utilizing three IPA Functional Tests. • Correlate subjective findings to dysfunctions in the soft tissues of the body. • Develop specific layer palpation skills to assist in the delineation of structures involved. • Perform seven specific Functional Soft Tissue Mobilization techniques as an integrated component of the Functional Manual Therapy® system for posterior and anterior spinal structures. • Discuss the current literature related to Soft Tissue Mobilization. 2019 International Massage Therapy Research Conference (IMTRC) is organized by Massage Therapy (MT) Foundation and will be held from May 09 - 10, 2019 at Alexandria, Virginia, United States of America. Conference Description: IMTRC will provide an opportunity to learn about the latest research, connect with colleagues, and gain insight into best practices in massage therapy. Held every three years, this important conference brings together thought leaders in the profession and educators to discuss massage therapy innovations. The Massage Therapy Foundation encourages massage therapy researchers to submit abstracts for potential presentation at the conference. The exploration and sharing of massage therapy research are crucial to moving the profession forward. It inspires and educates massage therapists on how to achieve better outcomes for their clients. Additional details will be posted as soon as they are available. ASCH-ERF Regional Workshop is organized by American Society of Clinical Hypnosis (ASCH) and will be held from Jun 20 - 23, 2019 at The Westin Alexandria Old Town, Alexandria, Virginia, United States of America. Continuing Education: The American Society of Clinical Hypnosis-Education and Research Foundation (ASCH-ERF) is accredited by the Accreditation Council for Continuing Medical Education to provide continuing medical education for physicians. ASCH-ERF designates this live activity for a maximum of 20 AMA PRA Category 1 Credit(s)™. Physicians should claim only the credit commensurate with the extent of their participation in the activity. Description: In addition to offering the Fundamentals of Clinical Hypnosis and Refining Skills & Treatment Applications Workshops, ASCH-ERF will be offering the following Advanced Workshop in Alexandria. Advanced Workshop Title: "Hypnosis, Mindfulness and Meditation: Comparisons and Clinical Applications" Chair: Akira Otani, Ed.D, ABPH. Faculty Cheryl Beighle, MD, Sharon Spiegel, PhD, ABPP Clinicians who integrate clinical hypnosis into their practices have frequently been asked by patients, colleagues, others, and perhaps themselves, “… what is the difference between hypnosis and mindfulness and/or meditation?”. Very often in ASCH Level 1 workshops, this question is also asked and an appropriate, adequate, though rather brief explanation regarding the similarities and differences among these intervention strategies is offered. This workshop, taught by three highly respected and accomplished clinicians, researchers, and educators who are much appreciated and lauded clinical educators, will present a comprehensive and intensive review and explanation of those similarities and differences, not only from a didactic model but via accompanying demonstration and experiential and practice opportunities. The workshop will begin with a comprehensive review of the nature and processes of hypnosis and meditation, including historical, theoretical, and neurophysiological comparisons and contrasts between hypnosis and contemplative processes such as meditation. Mindfulness meditation, for example, Mindfulness-Based Stress Reduction (MBSR), will be described, demonstrated, experienced and learned within the context of comparison with clinical hypnosis. Transcendental Meditation, another contemplative process will be discussed and demonstrated as it compares and differs from clinical hypnotic communication. The characteristics, processes, and effects of clinical hypnosis will be the foundational context for a review of counterparts of a variety of specific meditative strategies followed by the description of the active therapeutic integration of clinical hypnosis and meditation. Moving from general to more specific, the uses of clinical hypnosis and meditation techniques in the treatment of anxiety and depression will be discussed and demonstrated, followed by consideration of the uses of clinical hypnosis and meditation in clinical intervention with trauma. Final considerations and discussions will center on the evidence for, as well as potential risks and contraindications for, therapeutic uses of meditation and/or clinical hypnosis. This will lead to the consideration of ethical issues in the clinical use of hypnotic and/or meditative strategies. 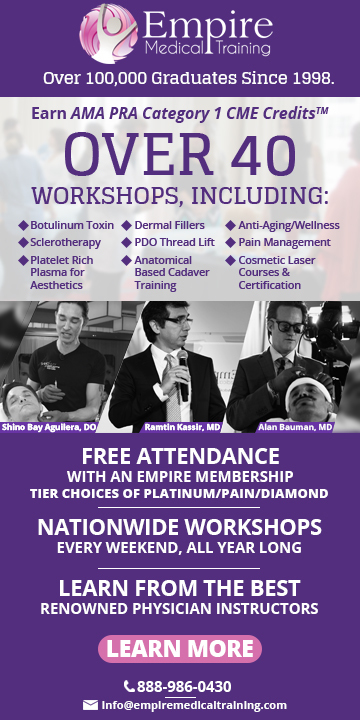 This advanced workshop will close with a period of questions and answers, requested demonstrations, and discussion of ways to integrate these techniques into clinical practice. 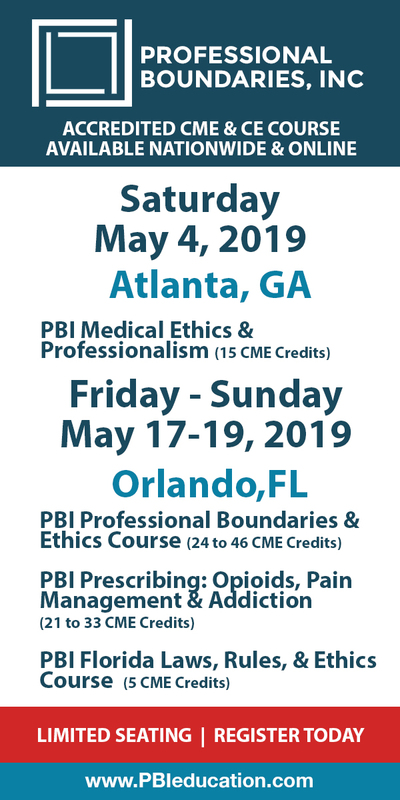 TP: Taming Pain is organized by The Institute of Physical Art, Inc. (IPA) and will be held from Aug 03 - 04, 2019 at Inova Physical Therapy Center, Alexandria, Virginia, United States of America. This Conference has been approved for a maximum of 16 Contact Hours. Audience: Anyone that is interested in learning how to TREAT pain, not just manage pain, including PT, SPT, PTA, OT, patients, Physicians, Physician Assistants, and other health care professionals are encouraged to attend. Course Purpose: What are your strategies for management of patients whose pain in not resolved with advanced manual therapy interventions? Do you have the knowledge to recognize the signs and symptoms of inflammatory pain symptoms of inflammatory pain symptoms verses mechanical? This lecture course is designed to help clinicians and their patients understand the complex, interactive nature of on-going pain. The participants will learn how each of the body’s systems contributes to the Pain Experience. Further, the learners will learn how to determine which systems are relevant to their own pain. Most importantly, the participants will learn self-treatment techniques to begin the journey of control and recovery. Course Objectives: By the end of the course, the participant will be able to: • differentiate among acute, chronic and sustained pain. • explain how the body’s systems interact to successfully progress from injury and acute pain to recovery. • explain the role of the Nervous System in the development and perpetuation of chronic pain. • develop a treatment plan to rehabilitate the hypersensitivity of the Nervous System present in chronic pain. • differentiate which system(s) and factors are involved in the production of a given patient’ sustained pain, including: Immune System, Gastrointestinal System, Endocrine System, Peripheral Nervous System, Fascial System, coccyx, viscera, Lymphatic System, Musculoskeletal System, nutrition, posture • develop therapeutic interventions to positively impact the identified system(s)’ role in the patient’s sustained pain. Additional details will be posted as soon as they are available. Kinesio Taping Assessments, Fundamental Concepts and Techniques (Formerly KT1/2) is organized by Rehab Education and will be held from Apr 04 - 05, 2020 at Alexandria, Virginia, United States of America. This CE Conference has been approved for a maximum of 16 Contact hours. Who Should Attend: • Occupational Therapists • Occupational Therapy Assistants • Physical Therapists • Physical Therapist Assistants • Certified Athletic Trainers • Licensed Massage Therapists • Doctors of Chiropractic • Speech Therapists Course Description : 2 day course designed to introduce participants to the science, assessment and application techniques of the Kinesio Taping Method. Lecture Tutorials of the history, science and theory of stimulus transmission through skin and resulting therapeutic benefit across efferent and afferent systems is reviewed. Corrections for Epidermis, Dermis, Fascia, Space, and Muscle in case study format are presented. Lecture and demonstration by the instructor, then participants perform the Manual Assessments and Movement Assessments. Discussion of the assessment flow charts to determine correct applications and general progression of treatment clinically. Day Two continues with instruction and demonstration of assessment and taping procedures for the Mechanical, Tendon, Ligament and Circulatory/Lymphatic Corrections in case study format. Time is allotted for questions and discussion of the assessment flow charts to determine correct applications and general progression of treatment clinically. Each student will complete a short assessment of practical taping skills at the end of Day Two. Participants will receive a full color Kinesio Taping Workbook and a 60-day access code to the KTAI database. Course Objectives : At the completion of the two day program participants will be able to: • List 3 unique qualities of Kinesio Tex Tape. • List 3 different physiological systems affected by Kinesio Tex Tape. • List 3 contraindications and 3 precautions of using Kinesio Tex Tape. • List best use for each type of Kinesio Tex Tape. • Describe and demonstrate cutting different Kinesio Taping application tape shapes: I Strip, Y Strip, Web Cut, X Cut, etc. • Describe one situation where it would be appropriate to use each different tape cut. • Demonstrate one of the three methods of safely removing Kinesio Tex Tape from skin. • Demonstrate appropriate use of Manual Direction Tests for tissue and muscle. • Demonstrate use of Kinesio Screening Assessments to identify target tissue for treatment. • Demonstrate proper application of Kinesio Epidermis, Dermis and Fascia Taping technique. • Demonstrate proper application of corrective techniques: Fascia, Mechanical, Space, Functional, Lymphatic, Tendon, Ligament, and Muscle Correction. Fulfill the prerequisites for the Kinesiotaping University’s CKTP Certification exam with this additional course: Kinesio Taping® Advanced Techniques and Clinical Reasoning (Formerly KT3) Additional details will be posted as soon as they are available. Association of Regulatory Boards of Optometry (ARBO) Annual Meeting is organized by Association of Regulatory Boards of Optometry (ARBO) and will be held from Jun 21 - 23, 2020 at Alexandria, Virginia, United States of America. Additional details will be posted as soon as they are available.